“Can you be both social democratic and liberal at the same time?” Answer: Sweden? I think Sweden shows that you can be social democratic and liberal at the same time in a socially homogenous society. But, from what I understand, this consensus is under real pressure as immigrants enter the picture. Sweden’s liberal values urge acceptance of the incomers, but lack of integration is a source of tension. As a result less liberal attitudes are coming to the fore, and elements of the social democratic setup are being eroded. We see similar in the Netherlands and Denmark. The Swedes may yet find a new balance though. I am an Austrian who has been living in the UK for 18 years (and a LibDem, too – back home there wasn’t ever a party that suited my views). I continue to observe Austria closely. I read your discussion with interest, and you are addressing a few questions I have been asking myself for some time, if from a different perspective. For me, Austria (and my experience of growing up there) is always a warning against the LibDems’ unquestioning enthusiasm for relentless devolution. What you can’t observe in two weeks is the corruption you get in those extremely small units (the local council I grew up in had 1700 inhabitants – a lot smaller than my current council ward). By corruption I don’t mean the usual brown-envelope stuff. It’s about who knows whom, and who can put who under pressure. This is particularly bad in a small village, where a mayor can’t stand up to people who own the businesses which pay the crucial local corporation tax (something I am generally in favour of, if your local unit isn’t too small). 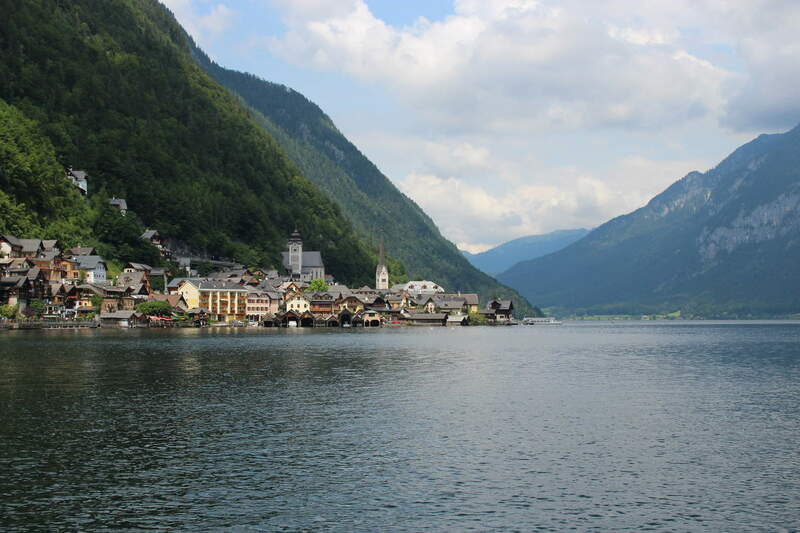 Look at how Austria’s landscape is marred by building everywhere – that’s due to local communities determining building regulations, and local councils simply being unable to uphold reasonable standards. Local councils also like building along the boundaries of their neighbouring councils, often distorting local economies in ways that make no sense. Extreme devolution is not a good idea, although I think some Austrian models would work for the kind of local authority size we have in the UK. (also note how rural Austria still is, with a large proportion of people living in rather small communities, so my example isn’t exceptional). The Bundesland is also problematic – I saw this close-up, where my father, as headmaster of a school financed by the land, being effectively a hostage of a local family who happened to be related to the governor of the province (the school had been built in the first place, in a place not actually suitable for it, because this was a village with which the governor had a persona connection – and this example was by no means unique, and isn’t now). I can’t think of examples quite as bad in the UK, but I am seeing similar effects in Wales, and it makes me even more sceptical about too much devolution to units which are too small to have proper scrutiny. And it has to be said, my Bundesland, Steiermark (Styria) actually has a fairly active media landscape, unlike Wales, where I live now, and with much frustration about regional government there. Austria generally has a pretty rotten government, and politics is thoroughly depressing (your remark about the two dull parties being challenged by right-wing mavericks is mild). I have been asking myself why Austria works so well nevertheless (and it does often work well *despite* government at all levels, not because of it! ), and I have come to the same conclusion as you, namely that it is something along the lines of an actually working model of that ‘Big Society’ idea. What’s interesting in this context is that despite the big government model you mention, Austrians are in practice (though they wouldn’t ever think like this!) very much small government types. Many things happen despite government, even around government (note that the black economy is big, to the extent that once, back in the 90s, I was paid cash-in-hand for work done for an government agency). This is a bit of an embarrassment for me, since I don’t like small government ideas. It’s not small government in the classic US-liberal sense in any case. It’s a very strong, still quite conformist society, strong family cohesion and a lot of private initiative. I think a lot of this works because Austria has a ‘catholic work ethic’ – i.e. people work to live, not the other way round, with shorter commuting times, more holidays and good social security (that’s where the ‘big state’ does a crucial job, and it works well). This leaves people time to contribute to society, in ways that simply aren’t possible in the UK. … sorry for the long post… it’s just great to see somebody think about similar questions I have been mulling over for a long time (without clear answers). Many thanks for your comment Maria. Don’t apologise for its length. This adds a lot to rather superficial understanding of the country, and provides a lot of food for thought about what direction liberal reform should take.